It has been a while, and I am not even going to apologize anymore for the lack of writing. Life is busy right now in general and has been for a while. I think it is just the boys growing and changing and we are trying to change with them. They are not the little boys they used to be – no longer are they little or dependent. Younger boys, I think I have the hang of, for the most part. 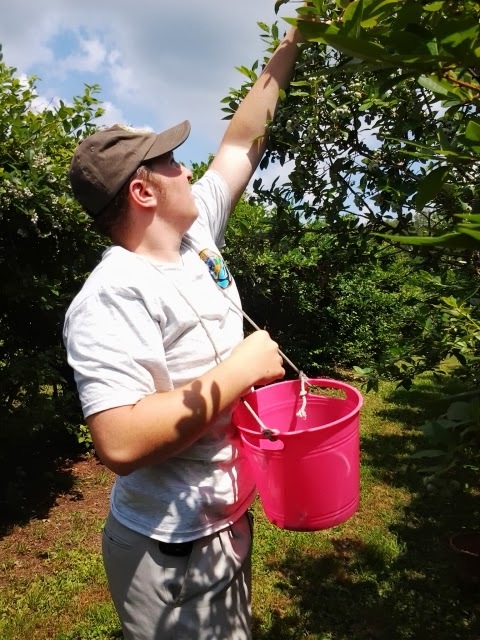 But now, they are growing (some are even taller than me now – hard when I get frustrated and then I have to crane my neck to look at them,) and they are blooming even more into their own person – independent, testing new grounds, expressing new wants and desires. Baruch Hashem. This is ultimately what we want from them. We want them to grow into independent people who can participate in society. I really cannot complain, it is just hard to constantly have to be one step in front of them to guide them properly. There is no book that tells me how to work with *MY* teenagers. That book has not been written yet. However, I have found that with lots of sincere looking and sincere davening (and tears don’t hurt either,) eventually Hashem helps guide us in the right direction. We are getting the hang of it. In the meantime, I have learned that it is good to keep them busy with things – either school, fun stuff or otherwise. Some boys get bored easily and then that is not a good thing, and some need to feel accomplished, so we try to get them to help us out and do things such as plan wood working projects where they get to plan and create it all basically themselves for they really can do it now. getting ready for bed. I was worn out before supper time. So, I have reluctantly moved to a 4.5 day schedule. Just moving one class over to Friday morning really helps. With the change, I now usually get 30-45 minutes at least before I have to start with supper. We are not doing all I had been wanting to do. I was excited to add in our Nature Study – which we have done once. Nature walks have happened most weeks, and one sketch per walk does happen. Mr. Little and I were sharing a drawing book, until he told me to get my own. Just showing his own little independence. 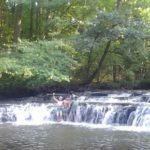 😉 Last month it was nice to go to “Our Spot” by the creek at the Nature Preserve which had boys creating dams from various nature articles. It classic spontaneous homeschooling at its best. Also, as per Charlotte Mason’s schooling, I have started to put together a little list of some handicrafts that would be fun to do. One boy is in the middle of a wood working project for our backyard and two more are working on sewing puppet-wallets combos either for themselves or for cousins and not to mention the one who bought for himself a guitar and is anxiously waiting for his lessons to start. For one boy, we are really strongly encouraging him (aka “making him do it,”) to do more laining. He likes doing it and it is really good for him. 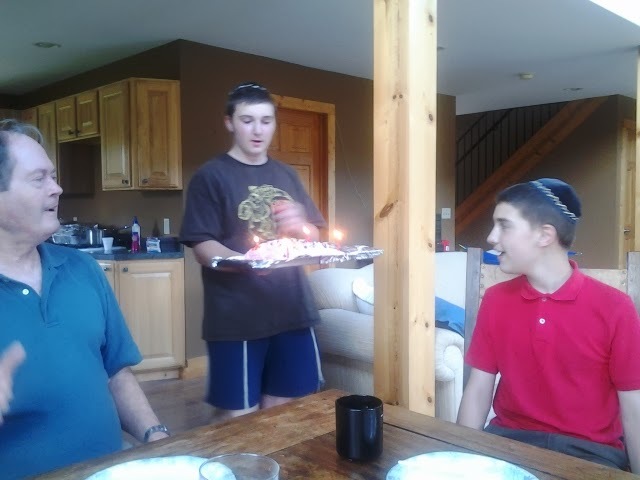 Unfortunately, it looks like this year we are not going to be home for him to lain his Bar Mitzvah parsha since it falls out over Thanksgiving and we go visit family (but he was practicing it anyways today and it was nice to sit and listen to him even if he was mumbling it very quietly.) Oh, and I cannot forget that it has been cool enough now to enough some learning outside. When I started writing tonight, I was thinking that things were not really going as nicely as I would like and somehow the days slip by and schooling does not feel like it is going well, but as I continue to write and recount what really has been going on, I am reminded of all the little things we have started and how that really adds to what can feel very monotonous otherwise. Perhaps the year is going better than I thought it was. Yes, we have our growing challenges, but the fact that they are happening while learning at home has been such a relief. One boy who is having a few more growing pains than others at the moment can do his lessons at a different time if he is having a more difficult moment. I am learning to be flexible (even when I don’t think I can bend any further) to help him out. When I am stretching and flexing with him, he almost always comes back when he is composed and ready and then asks for his daily work to do, and it can be all be done in a very calm and loving (but firm when needed) way which is such an added bonus for everyone. Not such an easy task for a school, but definitely something that can be done at home. So, I feel as if we have embarked upon a brand new journey this year. It is definitely not as simple as it has been in the past, but it is something that will definitely make me grow and that is exciting. I have learned and grown a lot over the last 10 years and I am looking forward to seeing the new me. I just have to remember to keep my eyes focused on our end goals. It also does not hurt to occasionally put myself in time out and either just veg in the bedroom, or make myself 1 chocolate chip cookie. Just for me. Out of sight. Just one. I may have done it today. And if I did, it really did hit the spot and made me feel so much better, it was nice in one of the little new ramekins that we bought last week. Don’t ever underestimate the power of 1 cookie. Especially one with chocolate chips 😀 Be careful to not make it too often! I still remember sitting down at the computer 5 summers ago. I was just not finding what I wanted. Money was a big issue, and anything I wanted to do cost money. I remember the boys were at a camp, with one little one at home, and I spent all morning on the computer. Searching. I remember noting somewhere that I saw “Free” written beside a link. It was not what I was looking for (so I thought), but it had been several hours and I had nothing, that after I exhausted the page for what I thought I was wanting, I decided to go back for I might as well look at whatever that was that had “Free” written beside it. It was one of the most amazing things I could have done. No, it was one of the most wonderful gifts from Hashem. At that point I had three boys learning, with one who just started walking. I started reading. I honestly felt my heart racing. I clicked from page to page, reading everything I could read. The whole concept of whatever I was reading really felt good. I remember thinking, “This is what I want for my kids! This teaches middos (character traits)! I can have time for all my kids!” Whatever this was was a G-d based curriculum that was geared to raising well rounded children with good middos. I typed to my husband about it and sent him some links, saying that I found something really neat! No, I don’t intend on doing this, don’t worry, but it is so interesting and so what I am looking for! (So why was I not going to do? I am not sure, but I knew it was not for me. *cough*) I went to see him at lunch time and again, briefly told him about this so interesting new thing (I still was not sure what it was), and knew I was not going to do it but it was so interesting! After lunch, I had to go back and read everything again and then again. I just could not stop. By the time I had to get my boys from camp, the decision was made. Whatever this was, and I was still not quite sure what it was, for it was a very different kind of way of teaching, this *thing*, this is what we are going to do. This is what I need. The schedule was all laid out for me, in a way that made it so easy to use with our family, most of the books I needed were available for free, linked to right from the website, for they were out of copyright books, and the best thing is that it was free. The philosophy so matched our family. This is what I always wanted for my kids. And bonus, there was minimal work in preparation needed from me for there was even a weekly schedule set out to follow. I texted my husband. I felt so relieved and so happy. I cried all day, from the first time that morning that I started to read, and even for days afterwards I was crying. It was all wonderful, except I had one obstacle. It was Thursday. We were supposed to start school on Monday. Just 4 days. And don’t forget a Shabbos in the middle so no reading, learning or preparation then! To top it off, I had no clue how to implement the teaching. That was not going to stop me. We started our year of schooling on time. This was the beginning of our journey with Ambleside Online. The year was strange. I had never heard of Charlotte Mason nor of her teachings, and frankly, in the 4 days between first hearing about it and starting school, I was busy getting books printed, and preparing for Shabbos. After that, I was busy trying to teach. I did not get to do my due diligence and really understand. It took me a year to really figure out how we were supposed to learn with this new method, and by the second year I was definitely getting the hang of it and as I was understanding, my love for CM learning increased. As it often happens, once we get into a routine, we keep chugging away. I have enjoyed learning with the boys. I really enjoy the books, though for the later years I do not get to read most of them. There are several that I would love to read, however, I might have to be content to wait until the boys have gotten older so I have the time to read. I was preparing for this coming year when AO’s Facebook page started getting really active. They have a forum, but I don’t normally go to that, and I tend to just stick with Facebook. All the wonderful questions and comments and even the help-me’s got me thinking again. I know my boys need more outside time, and besides the 105 degree weather we had for a while, there really is no excuse not to send them outside. We have not done the art or composer study (yes, I’m a musician… don’t ask, that is for another time,) and we have not done too much with the nature study or walks, though I have taken the boys out more and more each year. I want to add more, but it is hard. It finally donned on me today why it’s hard. Yes, there are Bible readings and other religious books read, and all I have to do is replace them with our Chumash, gemara, mishnayos, dikduk and whatever else we are doing. However, when I looked at it, I realized that really, we are doing a lot more than what is laid out, which takes away time from doing other things. I don’t feel so bad anymore, but I really do want to do more, and I figured it out. 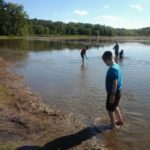 I have figured out how to add in music lessons that the boys have asked for but I have failed to follow through with… each year… and I have figured out how to add nature study and our walks in every week. I am about ready to add in composers and their music – I’m almost done printing out short biographies of various composers – and I think I finally have a timeline and a Book of Centuries (a timeline for older children) that will finally work for us. I don’t think I can add in more, but it is all well. I do not consider the rest necessary for our lives and that is just fine. I have been doing some reading and getting chizuk (encouragement) from other AO members on the Facebook page. I was telling my husband about the nature studies I am adding and I told him I just feel so relaxed and happy about it all. I am still not quite sure how I want to do it, but that is fine, there are various ways and we will use trial and error to find out what works for us. As we start our 5th year with AO, I am feeling more confident than ever. I almost feel like I am starting fresh and new. I guess I am. It’s a new learning year and I am ready with new thoughts and ideas to bring to our lessons that I hope will help make our children more well rounded and ready for whatever they intend to do in the (near – yikes!!!) future. Wishing all of you a wonderful learning year! Most years I get a few days after our school year is finished where most kids are out of the house, at least during the day. Yesterday started my yearly “week.” Well, almost 4 days, but that is close to 5 days, so close to a business week. Grandpa took the three older boys along with a cousin to go camping. I am left with a beautiful almost 6 year old (though if you ask him, he is actually 5, and will very quickly correct you if you try to say he is 5 and a half or something similar,) which is a good thing for I am not sure what I would do if he was gone as well! I am not sure I would do well to go cold turkey for an entire week. A day, yes, maybe even a night, but a week? I just got my husband off to work and am now sitting in the living room with a sleeping boy across from me on the couch. He was too lonely to sleep upstairs all by himself so I said he could sleep on the couch downstairs, for we were also downstairs. I did have BIG plans for the week, but I quickly saw that I would have to change plans to make the week feel worthwhile. I was going to start by organizing the books in the house- the living room, family room, dining room and upstairs on the landing. We have a lot. 5 built in book cases and 8 that we brought into the house. A Jewish, Homeschooling family is the worst for books for not only do we have the requisite homeschooling books, which is the gathering-of-as-many-books-that-we-find-interesting-as-we-can-get, but it means the in-gathering-of-as-many-Judaic-books-we-can-get as well. So, I guess we are getting close to being able to open up our own library. I did start by collecting all our sefarim into the dining room, but that took me about 10 minutes for they were basically there anyways. Then I got stuck for I was not quite sure what I wanted to do from there. I have a variety of actual school books that we use – some as books and some books in 3-ring binders. We were talking about putting school books in our converted wet bar area (we had someone take out the sink and make a built in book case there for we just needed more book shelves!) It seems the best place for school books like binders for there are doors to close off any mess. I’m just not sure. I did not have to worry about things too much though yesterday, for after gathering in all the sefarim, Mr. Little wanted a freezie which I bought the day before. I said yes and before I could get my shoes on and get myself ready to go outside, he was done. I told him he needed to get a second one then. I did not get any complaints from him. It is definitely summer time now, and has been for about a week. The weather has been in the mid 90’s and it is staying. It is funny how you can just tell. Spring can have a day here and there that is hot but you know it is not summer yet, but when the first day or two of summer heat comes, you know. There is something different about spring heat and summer heat. 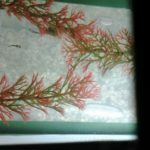 Find the school of fish! around. We walked a little and we talked a little. He asked some questions and then it was time to turn around. We stopped off on the bridge crossing the creek and enjoyed looking down at it. With all the rain and storms last month, the creek really did overflow and last week we saw the bent grasses and the sticks, logs and other debris that water leaves on the banks of the creek. Yesterday it was all back to normal, the debris had all been cleared away and the grasses were standing nice and tall again. Last Sunday we took a walk along a bridge downtown and the river that is usually almost dry was still flooded.You could not see the trunks of the trees and the stop sign was covered up to the red octagon. There was damage 45-60 minutes west of us and then south through Houston, but we were just fine though. Baruch Hashem. I realized that it does not just rain, or dribble here, it storms. That means that lots of water comes down at once. It is hard to go from the car to the house door without getting drenched, unless you have a rain jacket and boots. So, I decided to use our school money to get everyone rain boots and rain jackets and 2 nice umbrellas. All were extremely useful this year and everyone loved to walk through the water and rain. Even Mr. Big was caught walking to and from shul using the path that had the water draining on the side of the roads. Definitely CM style learning and I’m sticking to it. But back to our walk. 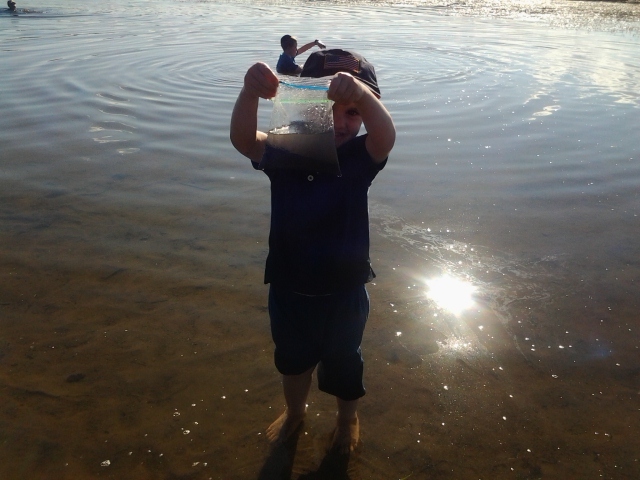 Mr. Little and I were talking about how the water was making the various lines in the sand and the water when I spotted fish! We both ran down to the bank and sure enough there were lots of little fish. And then we saw even smaller fish, all swimming around in a school. Mr. Little when further down where the water was a little deeper and we found bigger fish over there. We enjoyed watching them. He has a fascination for dragon flies so he had to take my phone several times to take pictures and videos of the dragon flies. With his freezie long gone, we went back home for lunch. On the way home he told me this was the first time he took someone out for a walk and he was proud of the fact and had lots of fun. And here I was thinking I was the one taking him for a walk. I was not going to argue with him and decided to let myself feel honored. Mr. Little is quite a photographer of dragon flies. Had a hard time with lighting on my phone for it was so tall! Wow, is it really that time of year again? Wait, isn’t summer still here? I’m not ready. Usually I have a schedule ready 2-3 weeks before we start our learning again. Well, let me rephrase that for we are always learning; before we officially start our new school year. 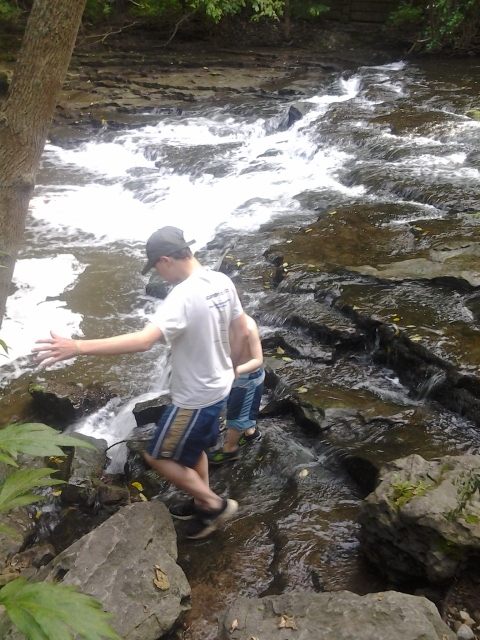 I tried to sit down and work on our schedule multiple times this past month, but something always took me away, including somehow being tagged as the parent who drove boys and friends to a nice creek that had a nice waterfall on an 80+ degree day last week. (Note to self: When you want to spend only an hour at the water in nice weather, don’t let boys go into water. Somehow they just won’t want to leave, and unless you actually go into the water to have them look at you, you can bet on them all of a sudden having selective hearing issues.) I finally wrote down what they are going to do, but it was not until last Thursday/Friday that I finally got to sit down and come up with a schedule. I don’t feel ready to start. This past week was busy. Other than finally finding time to make a schedule, Mr. Big has officially started school as a college student. (Yikes!) Last Monday was his first day. Right now, all his classes have to be online for even though he might be mentally ready for the material (he did have to take a placement test to get in,) I am not letting him go to a physical class. He is still a child (at 13!) and is not ready for the college environment (at least that is what I say and I’m sticking to it.) It is a new experience for all of us. Us seasoned university graduates are trying to guide him in what he needs to be doing, and even though I did take an online course several years ago, it does seem to be very different than what us old folks experienced, though with being old comes wisdom and that makes up for all of it. 🙂 So his AO classes are limited and made up for with all the work he will be doing in his two classes. For the other boys, we are almost set with our books. I would just like to get a different version of the King Arthur that they will be doing this year for I would like to get the version that has Librivox recordings to listen to. Librivox is a site that had free public domain audio books that are read by volunteers. Since many of the books used by AO are now out of copyright and in the public domain, there are many of the books we can listen to instead of having them read it or having me read to them. Last year we chose to listen to Robinson Crusoe. The reader was pretty good and the boys liked it. They followed along in their book and got to listen to someone other than their mother. It also gave me a break from having to read it for them (it is a very wordy book, something they are not quite used too yet and therefore harder for them to read on their own,) and I got to work with other brothers during that time. So, are we actually going to start our new school year tomorrow? I’m not mentally prepared to start school, and I don’t think the 2 middle ones are either, especially since one boy ended up today with 6 staples on his head from an accident, and the other came to me as he was headed to bed and asked if we were starting school tomorrow for he just didn’t know. We spent the entire weekend painting the house and not thinking about much else. So, other than helping one boy with his online Spanish and the math and biology we are doing, and teaching the ABC’s to another, I think we will start the learning with play-dough. Someone posted a great site that teaches about the chemistry of how play-dough works. There are a few chemistry words with definitions and good graphics to go along with it all. We can end the lesson with testing out how starch reacts to the different temperature of waters. I think they will all like it. I also saw a great site that goes into the science of chocolate chip cookies. I really want to do that one as well, though I think I will save it for something fun to do over Chol HaMoed Sukkos…I won’t feel too bad about having the hard part of testing out all the variations then! 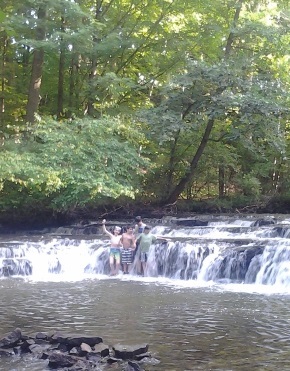 Or, I can just take them all back to the creek with the waterfalls. 😀 I’m so glad we can homeschool! 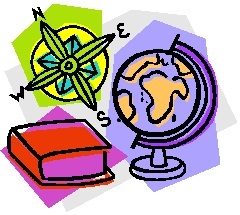 Author adminPosted on September 1, 2014 Categories Ambleside Online/Charlotte Mason, Curriculum, Homeschool, SukkosTags Ambleside Online, AO, Charlotte Mason, chemistry, CM, college, college classes, Khan Academy, Librivox, new year, phonics, play-dough, schedule, Spanish, starting schoolLeave a comment on It’s Here Already?!?!?! It is so refreshing to take a walk with my 5 year old. He is still young enough that he has a sharp eye for the things us bigger people just do not see. He did not want to come for a walk with me, but I dragged him along (literally had to do it for the first few steps, after that he was fine. 🙂 ) I needed out of the house and didn’t want to go by myself. We chatted for a while, found worms and slugs (a first for him). When we finally turned back around to go home, he hit the jackpot! No, not any chairs this time for it had been garbage day. (Baruch Hashem!) It was another amazing treasure for boys. They might call it “Gold Dust,” but without the gold. “Mommy, can I bring home some dust!?!?! ?” (As if I need anymore dust in my house!) “It stays outside and does not come into the house.” “Ok. I need a bucket.” “Does it look like I have a bucket?” as I stand arms apart. I then precede to hand him an imaginary bucket. He laughs. I tell him to use his hands and carry it home. He gathers some dust and we start to walk back home. He is careful, like a 5 year old, with his gold mine when I felt pity on him and started to wonder if he would have any gold dust left by the time we made it 15 minutes to the house. I offered to stop at a friend’s house on the way and ask if they might have a plastic cup or something we could have. Our friend found a paper towel and our gold was safe. Now, we had to make the trek BACK to the mine to fetch more dust. We finally started walking back and found more worms and slugs. As we passed a worm, I bent down and gathered it up with a leaf to take it off the rough sidewalk and put it on the grass. He then told me to stop and he took out his dust and needed to put some beside the slug. I told him not to put it on the slug for that would not be nice, and he knew that, he just wanted to be nice and put it next to the slug. We then preceded to find more slugs so he could be nice to them as well. Not sure how that was being nice, but he felt it was the right thing to do. Cannot argue with a 5 year old! It has been an interesting summer. I am still trying to figure out how it went. There is always stuff we do not do during the year and I have been trying to make it up in the summer times. I think last year was the most successful year. I decided to work on that and have an even better summer with regards to things that needed to be done. I listed all the things we were going to work on this summer and made a schedule. It seemed like for a week or so things were going per my schedule, however, I did not like it. Something was missing. It finally dawned on me – I was not able to do my summer cleaning! For me, it was still like school. So, I decided to just keep the parsha, chitas,mishnayos, along with the new Gemara learning the boys are doing with their father (Makkos,) and one special project, everything else was ditched. I spent several days not doing much and feeling guilty about it (but not giving in to my guilt!) and by the end of the week I had a much nicer kitchen. I seemed to just have more time. “Mom, I need to get the wagon, I found a huge fish tank – with a stand, heater, light, filter, food and everything! 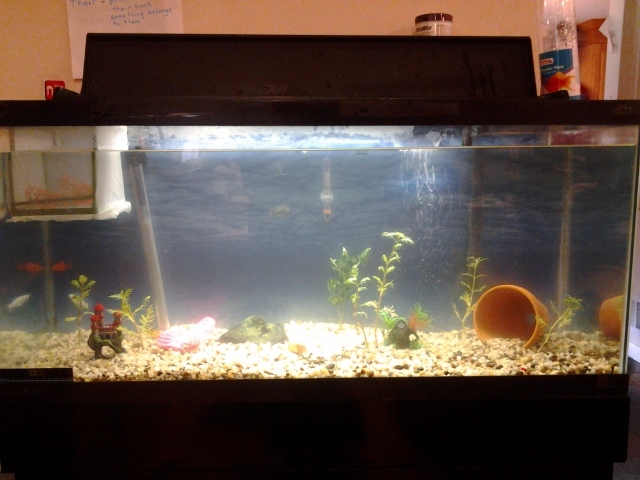 Except the fish.” “We already have a fish tank.” (Not in use, but we have a nice 10 gallon tank.) “But Mom, this is a really HUGE one!” 😐 I try to explain to him that I am trying to get RID of things, not acquire more stuff. He was persistent. “But someone let me put it on their lawn until I came back with the wagon!” Now he is making me feel guilty for he now has to fulfill a promise he made to someone. I had been thinking that the summer was just not as nice as I was hoping, but if I look back and remember all the neat stuff that happened, and most were not planned, I realize that it did not turn out all that bad. Yes, there were things that I did not care for, but if things were to be different, all the nice things would have to change as well, and I am not willing to give up any of those. 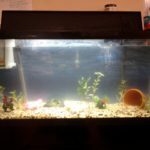 It is nice and comforting to sit and look at the fish. I enjoy peeking at the little babies every day. Wishing everyone the best in their new school year! The first Shabbos at the cabin was rather quiet – just one little boy to entertain. Sunday morning we all got up to drive 4 hours to fetch the really missed brothers from camp. It was good to have everyone back home. I really missed them. I think the lone brother missed them the most. It is not easy to want to play with someone and only Mommy is around and Mommy sometimes cannot play. Boy, it sure is good to have brothers! 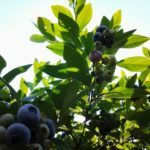 Aside from that, the train, Corning Museum of Glass, blueberry picking and horseback riding were some of the main activities with horseback riding coming in tops for everyone (and blueberry picking a close second)! The youngest was too small to ride a regular horse so he got to have a pony ride around the farm. He then was lucky enough to be able to brush down and wash the pony. 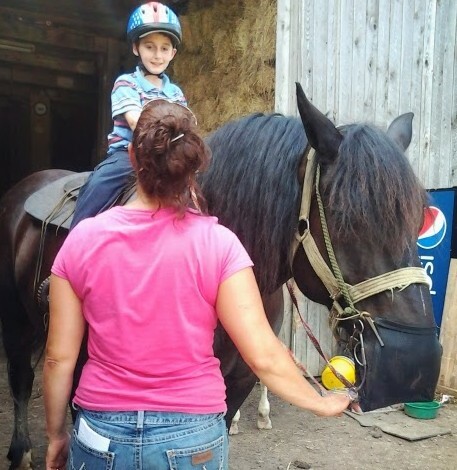 Both the pony and the little boy really enjoyed it. Oh, and I cannot forget about the birthday party #2 – afterall, it is not everyday that Grandpa comes down to visit! He was one lucky boy – a visit with Saba one day, and Grandpa the next, two birthday parties (and presents to match from each grandfather), and not to mention that this weekend there will, IY”H, be a THIRD party (for the same boy) for he was insistent that his friend comes over for a party, and since neither of the previous parties were at home, I promised him we will have one with his friend. Baruch Hashem my boys are very happy with simple things – a simple cake and a card and a small present is all that is needed to make someone happy, oh, and the occasional friend. The Corning Museum of Glass was very interesting to go see. We have not been there before. The first section with glass art was not my cup of tea, but I really enjoyed going into the history section. They had the history of glass making, from the early times until the present, with all sorts of interesting facts and artifacts. We even got to see some glass making demonstrations such as the hot glass show and the flameworking. Well, we got to pick up our sefarim yesterday! 3 sets of Rambam’s Mishneh Torah (English and Hebrew.) I spent several hours on Monday trying to clean out a small book case that we had, figuring it had 3 shelves and each set would fit on 2. I would just need to get one more book case. I was almost correct. Yes, each set fits on 2 shelves, however, the bottom shelf is too short to put any books on. Never fear, I have ideas! In the meantime, the living room is a mess. Boys have taken all the books out of the boxes and have been labeling all of their 93 books. Wow. I did not realize how many books we really were getting until just now. I was just of thinking it as 31*3 and those in themselves are not that big, but to do the actual math problem, wow, multiplication is powerful! We were good and even started our learning today! One video from Rabbi Gordon from Chabad.org was listened too. 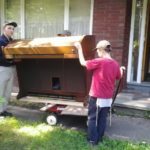 I cannot forget that we finally brought the organ inside! It was not as hard as I thought it would be. We used our Radio wagon, put some plywood on top, and used two 2×4’s and slid them under the organ with the other end of the boards on the wagon to make a ramp. We then pushed the organ up the ramp. We all held on while one boy very, VERY carefully and slowly pulled the wagon all away around from the garage to the front door. 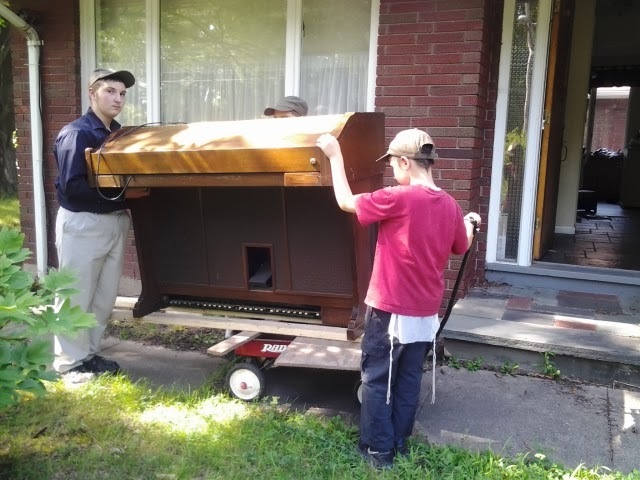 The tricky part came when we had to transfer the organ from the wagon up the 2 steps into the house. With some creative thinking and cooperation, we got it into the house. Since it is mine, only I was allowed to clean it all up. Boys wanted to help but I refused. I told them to vacuum the carpet. 😉 Everyone anxiously awaited the moment when they could touch and then play the new instrument. I have not played the organ in almost 17 years – it is amazing how even though I play the piano a little here and there, my organ playing is terrible! It was hard reading all those staves again! I had to go way, way back to the really early days and the very easy music to get back in the swing of reading everything again. “Mommy, how can your feet play all the right notes and you are not even looking?” I smiled and proudly told my son, “I started on the organ!” That was one thing I was pleasantly surprised about; my feet still knew where to go after all these years. They were even more surprised to find out that their Dad used to play the organ as well. Author adminPosted on July 25, 2013 Categories Ambleside Online/Charlotte Mason, Curriculum, Homeschool, Jewish, SummerTags Ambleside Online, AO, blueberry picking, cabin, Charlotte Mason, CM, horse back riding, Mishneh Torah, organ, Rambam, room613, train, vacationLeave a comment on We’re All Back! Well, I finally did it. I now have a Facebook page! Just go to Jewish and Homeschooling in an Amazing World and you can join the group. This will hopefully be a medium where I can also post other interesting links and information that I find. Purim is but a few days away and I saw that someone posted hamantashen on Facebook and realized that with all our planning we did, we did not plan making any this year! Oops. That will not do. 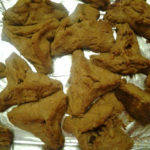 The little one and I made a batch of hamantashen after supper tonight. For all those who are wondering, yes, we are having school this week. Room613 is not in session, but Harper Academy is. We swing to our own tune over here, though this year I actually had a boy who finally realized that everyone else around has the week off. The nice thing about homeschooling is that we are not tied to any other schedule but our own. We have a revised schedule for this week – trying to get everything except math done before lunch. We are doing pretty good with it. This afternoon we worked more on our Purim booklets that I printed out from Chinuch.org. Something fun but with some learning. 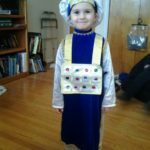 I had been alternating between parsha and reading the story of Purim (mainly for the benefit of the little one, but it still gives me a chance to add in stuff for the older ones.) Yesterday was parsha day. It was a perfect parsha for in it we talk about the clothes for the kohanim and the kohain gadol, and guess who is excited about being a kohain gadol for Purim this year? Thanks goes to his wonderful Aunt who had no more use for the costume and sent it to him. He was very excited and proud to be able to take out the costume and put it on for we really needed it for school! 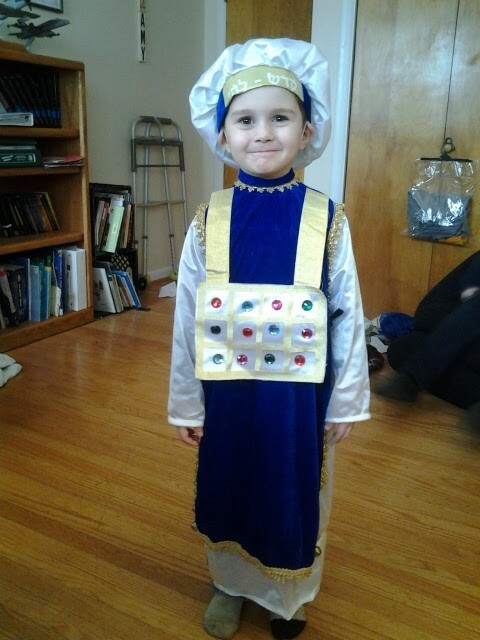 We compared what clothing the kohain gadol really wore with the costume version. There were a few differences, some which the boys asked if we could fix. But even if we don’t add any of the missing fixtures, we all agreed that it was a great costume and the little one looked quite spiffy. 🙂 The costume was put away again until Motzei Shabbos. This past week I have been working on the narrations for the boy who was needing help. Last week I wrote about the suggestion of a mother to have the child visualize the “picture” of a short section, then to keep adding “pictures” to the previous ones until it is time to narrate. All the child needs to do is visualize the pictures in order while he narrates. This seemed to have been just what the doctor ordered. Instead of just being able to remember the end of the section, he is able to actually do a proper narration. Now, I can actually get through a nice section of reading before he narrates. I think I am going to end of with our recipe. 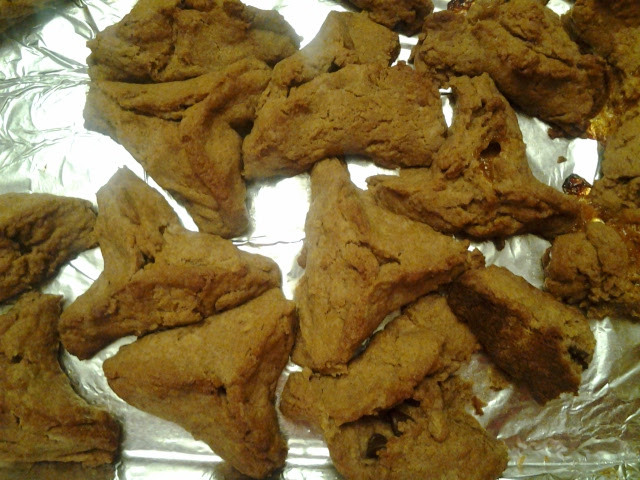 I have significantly modified a recipe I found on the internet to come up with our own delicious whole wheat hamantashen recipe. Hope you enjoy! You can use almost anything for filling from the traditional poppy seeds to pie filling, jam, jelly, preserves, or even chocolate chips! Add more flour if needed to make the dough solid. Roll out the dough and cut into 3-4 inch circles. Drop a tablespoon of the filling on top of the dough circles. Close and pinch to make 3 sides. Bake in the oven for 15-20 minutes or until a nice golden brown. Wishing everyone a Frelichen Purim! Author adminPosted on February 20, 2013 Categories Ambleside Online/Charlotte Mason, HomeschoolTags Ambleside Online, AO, Charlotte Mason, CM, costume, hamantashen, kohain gadol, Narration, oral narration, Parsha Tetzave, Purim, whole wheatLeave a comment on Parsha, Purim and Hamantashen! Chodesh Tov everyone! Purim is but 2 weeks away! I started this this past week but there was just no time to finish it. I hope everyone is staying warm. The snow storm dumped close to 18 inches of snow on us. Shabbos morning I looked outside the window over my bed and oh, how I wished I could take a picture! 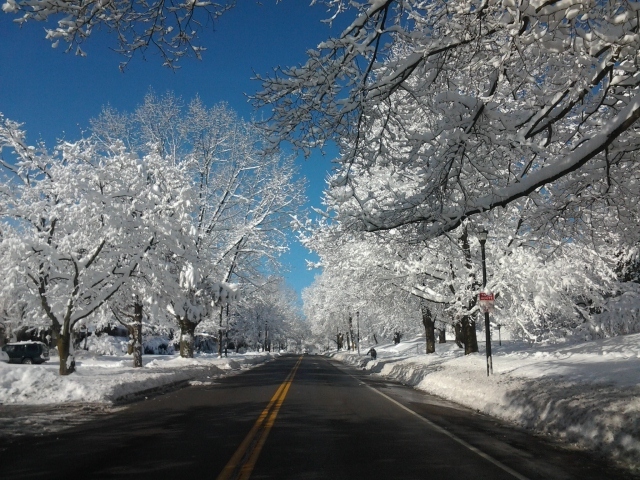 It had to wait until this morning, but when I looked this morning, the trees were not quite as beautiful as yesterday. Almost, but not quite. We did not get to go to shul this week for there was no way a wheelchair could have been pushed through the snow that remained from the snowplows. 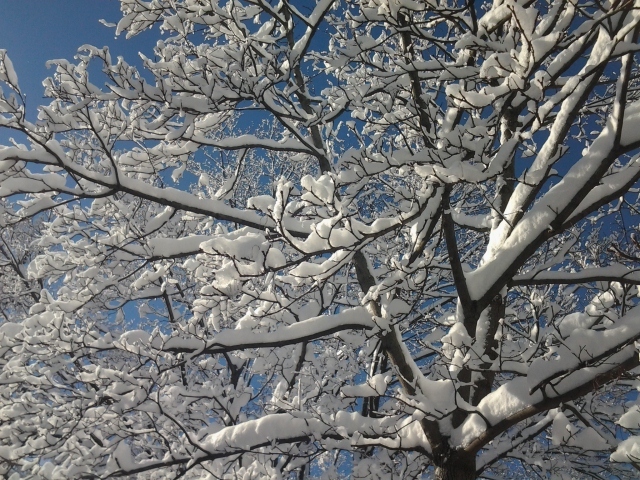 But I did get outside on my way to my shiur and just enjoyed all the snow covered, glistening trees. It is hard to tell with the boys, but the little bit of Charlotte Mason style of outdoor science we have done has sure had an effect on me. When coming home I noticed all the little tiny footprints made by the resident squirrel on our property. I even noticed the huge gaping hole in the snow under one of his favorite trees. What was he doing there? What made that hole? Was he looking for the leftover challah scraps that we put out there from the previous week’s leftover challah? Or, as I was try strain my head, did he drop some snow from the branches above? And then, after Shabbos, boys came and enjoyed themselves all over those marks in the dark while I was snow blowing the driveway. Ah, the joys of being a child. Though, all 4 of them came out, on their own, and WANTED to help me clean the driveway! Sweet boys! I guess this week was a fairly successful week. I would say this is the first week that we are really back into our routine – not quite, but just about. I would have probably have gotten to the little tiny bit that we lacked this week if it were not for my mind focusing on our new found room! All the boys in one room has actually turned out very well and we have decided to make the new room our library. Up came the unused bookshelf (GASP!! 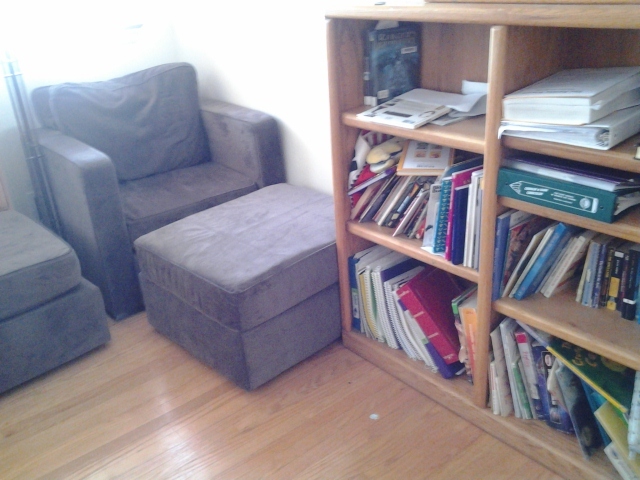 How could we, as homeschoolers, have an empty bookshelf?) and a desk. Never fear, the bookshelf is now full! Living room has been emptied of the loose books that never could all fit on the shelves there, two comfy chairs and ottomans bought (from the Love Sac) and voila! School has a new location now. There is still work to be done in both the boys’ room as well as our new library, but there is something called money that we need to wait for now. I read an amazing post this past week. As a quick precursor, we are finishing our third year with our Charlotte Mason curriculum (Ambleside Online version). I was not looking for a curriculum but I happened to bump into it. As I was reading the AO website I realized this is what I was looking for and what I needed. A CM curriculum is very different from the standard secular curriculum that is found nowadays in most schools. One of the main differences is that we focus on oral narrations for the first 3-4 years and only after those are mastered do we add written narrations. So, most of what the boys are doing is all oral with discussions. After all, how can you expect a child to write about what he has just learned if he cannot even voice in words orally all about it for it is easier to verbalize than it is to write. I really like the books used and the other main ideas of the curriculum that I kept up either reading to boys or having them read by themselves and then come narrate. It was not until the next summer that I was able to do more reading on what I, as the teacher, was suppose to do. 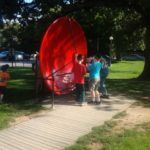 As the second year with AO started, I noticed I was starting to getting the hang of things. Yes, narration from the child is the most important part – did the child understand what he/she just read? There are the obvious set of questions – the 5 W’s – Who, What, When, Where, Why and How. The way AO is set out, we noticed that “Oh! Hey, we ready about this guy a few months ago!” The wonderful ladies who set up AO did a wonderful job for they arrange the books in each subject each book talks about a person or event in a different light and then to see the lights turn on in those little precious minds as they connect the dots when they hear about something they learned about before is always fun and exciting. I have even been able to bring in Torah thoughts and ways into many of our lessons. It is exciting to me to see myself growing and learning as a teacher. I think I am finally getting it. It does take practice but it is coming easier for me. Mom: What do I do when my son retells the details of a book or movie or story, but he can’t tell me the overarching narrative that goes with it? Like he can’t say the main plot points. He rambles and gets caught up in details that are non-essential to the plot, but he tells them with so much accuracy and depth, I hate to stop him. Kids don’t have this background, and can’t summarize like you. They’re younger. Story is fresh for them. They are beguiled by subplots and character quirks and twists. They chase the shiny object called “weapons,” “cute puppies,” “sassy friends,” “weird creatures,” “magic spells” or “epic battles” and report all that is filling their imaginations to the brink of enthusiasm. When you ask them to tell you about the story, the most exciting, fascinating points overflow. They can’t “sort” the images and emotions. They aren’t likely to sequence events into the narrative arc. They retell the memorable moments, with detail, reliving them in front of you. I think that is something that we have to keep in mind with many things. How many of us adults would be in heaven with one cardboard box? How many children would be in heaven with a cardboard box? I think my oldest is now teetering on turning more into an adult, but all three younger boys (ages 11 and below) will have lights in their eyes if I tossed them a box for them. To them, the idea of a cardboard box is still new and exciting. To us adults, well, it is old and no longer are we interested in those “simple” things in life. It is by virtue of all the 1000’s of experiences that we have growing up that we are able to weed out the “unnecessaries” (that are always necessary, just not the “ikur”, the main point, of an experience,) and get right to the chase or make that connection between different things. 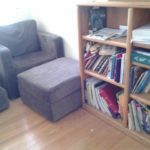 The author goes on and describes how to help children sort everything out, how to help the child visualize what is going on and put it all in order. It was really interesting, although someone on my AO list pointed out that some of tactics, she feels, are not quite CM style, and some of what the blog states is made more for the high school level of CM opposed to the younger children (mainly the more technical points – like “protagonist” and “sub-plot.”) Then, the mother proceeds to add that not all children can visualize like this author is almost assuming (my child 2 example from above who can narrate only the ending of a section and cannot remember anything before.) What this mother did with her similar-minded child was to stop after each sentence or tiny section (could be 2 or 3 sentences….) and have the child visualize what is going on – not narrate, just visualize in his mind. She would do this for the entire reading, asking her son to visualize what she just read and then add that visualization to the previous ones. At the end of the entire reading he was to then visualize it all and narrate. I agree with this mother that those of us who are teaching a CM curriculum are not wanting to teach all these wonderful living books in order for our children to be able to analyze them to death and we have to be careful when asking for narrations and then analyzing them with the children. I think this post is good but best used after finishing a book and mainly for the higher leveled students. When trying to apply this to younger students, a more watered down (basic) version should be used. All in all, I am reminded about how much I do not yet know and will have to pick up Miss Mason’s books again in the summer! Yes, I know that experiences cannot be equaled and in case I was not sure about it, after the past few weeks, there is definitely no doubt in my mind. 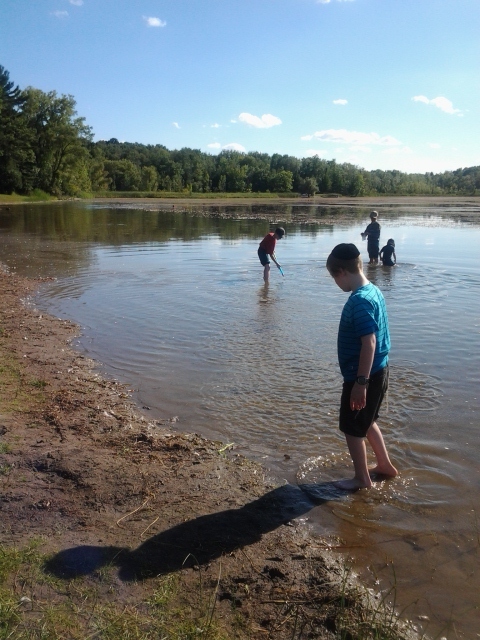 Over the past week and a half, our boys have spent many, many hours outside, in the water – ponds, creeks, etc. 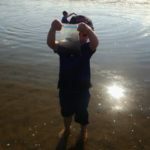 playing in the sand, feeling the seaweed, smelling the different smells, watching lobsters hide, seeing small schools of fish, as well as larger ones. Not to mention watching out for poison ivy and poison oak as we hike through the neighboring forests and seeing, feeling and smelling all the wonderful things there. Charlotte Mason definitely knew what she was talking about when she said the only science a child needs for the first 6 years should be nature study. We are told that to raise good and happy children, the relationship between the mother and the father must be a good and happy one as well. One of the ways to attain this is to make the relationship between husband and wife a priority over the children, that way the children can see how a good relationship should be and how they should act, for seeing has more of an impact than telling. Homeschooling is not only about the children, it is about us, the teachers as well and therefore we need to nurture ourselves and take care of ourselves first. We are just a few short weeks from Rosh Hashanah and we have had the most amazing few weeks. 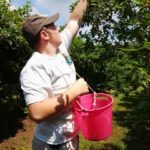 We do not get to interact very often with homeschoolers – we do not really have that much in common with the ones we know who are local, and to interact with religious Jewish homeschoolers on top of that is even more of a bonus. Don’t get me wrong, it is not that I have an issue being the “different” one, not at all, however, occasionally it is good to meet others who are different like you. 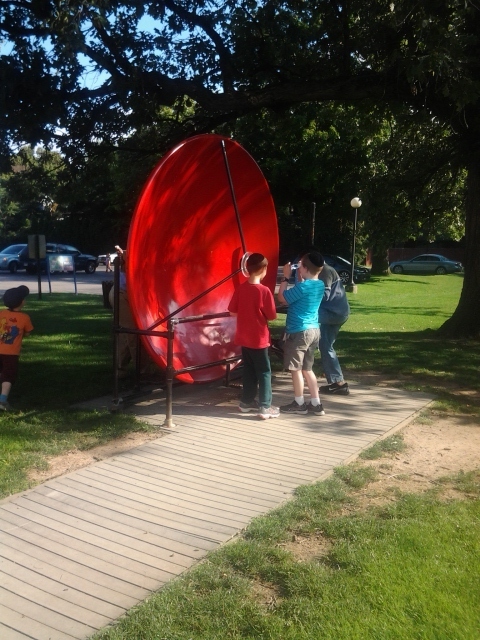 It was good for the children to be able to play with other religious Jewish homeschoolers, and it was good for me to be able to talk to not just one, but two mothers who have similar philosophies as we do. It was so exciting to talk to mothers who have had at least double the amount of years of homeschooling behind them than I do for it gave me a chance to see where I could be as a homeschool parent – what kinds of ideas I could try to use, from “experts”. I was also glad I was able to share some of our experiences and see that I could be of some help as well. And, it was nice just to talk! 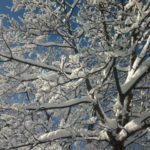 I once heard from a rabbi that all the spiritual connection and chizuk that we get from Rosh Hashanah through Sukkos is set so that it carries us through the dark times of winter, yes, we have a little bit of light from Chanukah, but there are no Yomim Tovim until Pesach, and our neshamas need the spiritual connection. So too, I felt that Hashem has given me this boost of the visits of two wonderful mothers (and their children!) to help give me chizuk for the next while. I felt lucky to have such wonderful conversations with one of the mothers that came. We took the children out in the afternoon and then they still did not have enough time together, so her son came over for a sleepover. 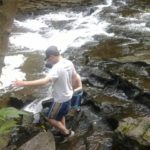 After the mother left, I felt not only spiritual happiness and chizuk, but I found it gave me chizuk in general to do some stuff around the house that I was trying to get done. I tried to soak up all the chizuk and spiritual connection that I could so that it would carry me over until the next encounter. Ambleside Online – Why I’m so excited! Over the years, we have had various kinds of curricula. We started off with Calvert, an all-in-one curriculum that even includes crayons, pencils and erasers! It is a standard school curriculum which includes the teacher’s guide, answers, and wonderful support from real teachers. After using it for 3 years, I realized that other than it is quite expensive (it was costing me about $700 a year per child, but over 93% cheaper than private schools,) it was not working out for one of my children so I had to look for something else. Money was a huge issue, as well as the fact that I was trying to teach and look after several younger children at the same time and I decided I was going to try to see if I could combine and overlap some of the teaching with the boys to help me out. I spent a long time looking into Unit Studies. Unit Studies take a topic and combine different subjects into one unit so you are teaching many subjects at once. We have a yearly budget for school, which includes any camp, and two years ago, while our boys were at a much needed (for me!) camp, I spent several days searching the internet for unit studies that I wanted to do for the coming year. With sending 3 boys to camp for 2 weeks each, my budget for schooling for the year was almost nothing, so I had to search for free stuff. The problem was that I was not finding free units for the topics I wanted to teach. The second last day of camp I was at my wit’s end. I just did not know what to do. Our schooling was suppose to start in 4 days and I had no clue what I was going to teach! For some reason I clicked on a link that was a curriculum. I did not want a curriculum, but I clicked anyways. What did I have to loose? I already exhausted all possible sites for what I was looking for anyways, and I needed a change of pace. I started reading. It was Ambleside Online, a Charlotte Mason curriculum. A free curriculum, nice, but not for me (not that I knew anything about it!) As I read all about the curriculum, I found myself liking and agreeing with what I was reading. I emailed my husband some of what I read for I really liked it – not that I was going to do it, but it was really good stuff. I kept reading. And reading. And reading. 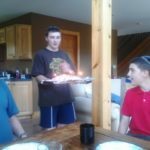 By the end of the day I knew what I was going to do that year – with only 2 days to prepare (Shabbos was in the middle,) I was going to jump right into it anyways and figure it out. Charlote Mason lived in England in the late 1800’s early 1900’s. Ms. Mason was a teacher for many years and spend a lot of time trying to improve her teaching ideas and skills. In a nutshell, she voted for short lessons, which equal to short school days so there is time for personal interests and hobbies (very important.) However, she was an advocate for a strong education with knowledge in a wide range of topics and felt that children were capable of more than we tend to think of them as being capable of. She was an advocate for living books – books written by authors who were knowledgeable and passionate about the topic. At the same time, religion was very important and incorporated God into secular learning. She was a huge advocate of sending kids outside for as long as possible with part free time and part guided time. Middos (character traits) are very important. And, don’t start children too early. Let them grow, let them learn about nature, let them understand how a flower grows and how a squirrel lives. Let them learn how to observe nature and then they can learn. With four children, and with being religious, the idea of having time to teach all of them, give them a good strong educational background AND do it with Hashem in mind all the time, Wow! The Charlotte Mason version that we use is an online version. The advisory has tried to find as many of the books that fit the teaching style as possible that are out of copyright and available for free online. This helps cut down the cost. They have also set up a schedule for each year – broken down by week. This makes it very flexible. Some children need to break readings down into multiple sections read over several days, and it gives the option of putting everything into a 4 day week instead of 5. This is what we do. I arrange almost everything into 4 days, and Fridays are left for other stuff (yes, cooking and cleaning is part of it, but that really is school for that is real life skills.) I do not feel forced to use everything on the list. Obviously, I replace the Bible with Torah study, Christian history with our Jewish history and hymns with davening and Shabbos songs. However, I do not have to worry about reading that the world is millions of years old when I do not believe that. The setup is just a nice guideline being flexible if I need to replace a book and letting me choose when to teach. There are a few books that I have left out of teaching for they are too Christian based, but all in all, that is not an issue and we enjoy being able to easily see Hashem in all our learning. The big difference that one will see when they go through the FAQ’s is that especially for the younger years, there is no writing except the copywork! None! What is done instead is oral narrations. The parent or teacher (if in a school) reads from the different books, then asks for an oral narration from the child(ren). After the narration, the parent or teacher then uses that for discussions. Why oral narrations? Talking is easier than writing, and if you cannot tell me what you read, then you do not understand and how can you write about it? Starting in year 4, after the child has the idea of how to listen and read and understand, then they start with 1-2 written narrations. The readings get very intense – starting in year 4 we add Plutarch’s Lives and Shakespeare (yes, the real thing – however, it did not work out for us too well, but I think it was mostly me and the scheduling mainly….) Younger children have short attention span so the lessons need to be short – 10-15 minutes. Older children about 30-45 minutes. No longer. Also, learn not to repeat (unless the child does not understand) for they need to learn to listen the first time, after all, their boss is not going to tell them twice to do a job! The first year was a little strange. It took a while before I got the hang of what I was suppose to be doing with the narrations. This past year I had a much better idea and the discussions came a lot easier for me. I will be entering year 3 with AO and am very excited. I just placed the order for the year’s books – $160 for my oldest (the younger ones already have the books!). Well, that is everything except math. That will come at the end of the summer. My oldest is going to be reading about all sorts of exciting stuff this year such as classical mechanics, relativity (yes, in year 6!!! ), reading the Hobbit and the Animal Farm and all about the Greeks and Romans. He has read the unabridged classics such as Robinson Crusoe and Oliver Twist, with more to come! Oh, and Understood Betsy and The Little Duke are NOT to be missed! I have my reading list for the summer set out for me, I can’t wait! I think I will enjoy the books more than they will! 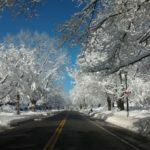 Author adminPosted on June 6, 2012 Categories Curriculum, Getting Started, HomeschoolTags Ambleside Online, AO, Calvert, Charlotte Mason, CM, curriculum, God, living books, money, secular4 Comments on Ambleside Online – Why I’m so excited!